The Country Inn & Suites by Carlson Novi offers 100 guest rooms and Suites and is proud to feature complimentary high speed internet access in all rooms. Within 2 miles of the property are over 20 restaurants and a movie theater. 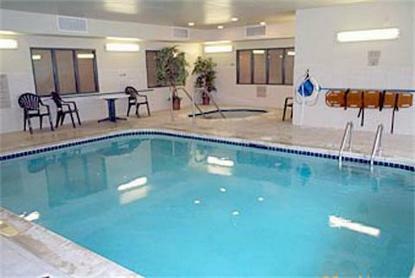 The property offers an indoor pool and whirlpool, as well as an on site fitness center. The Novi Fitness Center is across the street from the hotel and is also available for guests to use for a small fee. Please contact the hotel for more information. For all your office needs, please visit our business center. We are minutes away from the Novi Expo Center and Twelve Oaks Mall, which features over 180 stores. The hotel offers complimentary continental plus breakfast. The hotel's meeting room can accommodate up to 40 people classroom style and includes a projection and television. The property offers guest laundry facilities and same day laundry/valet services. As an added option Pay per views movies are available.